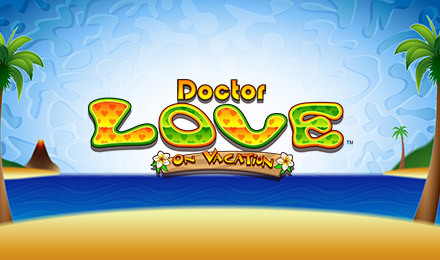 Doctor Love on Vacation is a sequel to the original online slot game. There are FREE spins, multipliers, a 95.43% RTP and more! Good luck! Grab your sun cream and hat and play Doctor Love on Vacation Slots today! The sun’s out and the wins are better than ever! Doctor Love represents your Wild Substitute, which means he can replace any symbol except the Surfboard Scatter to complete winning lines. When you spin 3, 4 or 5 Surfboards, you’ll receive 12, 16 or 20 FREE Spins respectively with TRIPLED wins, and if the Doctor appears during this bonus round, he’ll multiply your wins x6!